Thank you for your interest in Mary-Go-Round Learning Center. We are a small Licensed Plus operation since 1989. 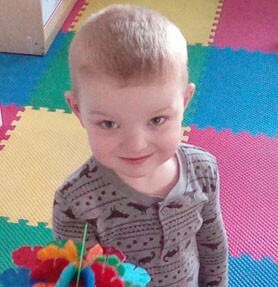 We are licensed for only 32 children 18 months through 13 years old with full-time and part-time options available allowing for more individualized care for your child. Each program is designed to prepare your child to be ready for the next stage of development. At Mary-Go-Round Learning Center, we believe that children learn and grow best when given the opportunity to explore their environment and new ideas with hands-on activities. Each classroom provides opportunities for children to create, move, discover, imagine, and build on past experiences. Teachers here are facilitators and “tour guides” of the environments they create. We encourage all children to communicate and to feel safe and happy. Mary-Go-Round Learning Center utilizes a center based environment, allowing the children to make choices independently . Each center contains materials for quality age-appropriate play, which will enhance the skills presented in our curriculum. Our structured preschool program consists of individualized instruction for preschoolers focusing on literacy, pre-writing skills, math, and science. 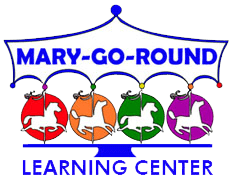 Mary-Go-Round Learning Center is a small Licensed Plus operation since 1989.